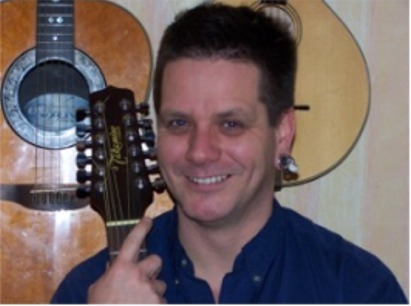 Paul Mitchell is a satirical pagan folk musician. For several years he’s been playing his stuff around campfires and a conference here or there. His songs are about ‘the Pagan Community’ and his experiences of them. In the past audiences have laughed, danced, cried, and shuffled with amused embarrassment at the words he offers. Short Bio:Paul Mitchell is a satirical pagan folk musician. For several years he's been playing his stuff around campfires and a conference here or there. His songs are about 'the Pagan Community' and his experiences of them. In the past audiences have laughed, danced, cried, and shuffled with amused embarrassment at the words he offers.